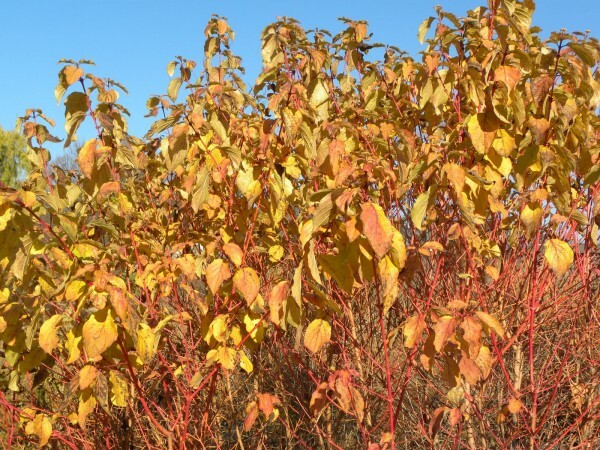 The Toronto Botanical Garden (TBG) celebrates natural beauty through popular horticultural and environmental programs and renowned ornamental gardens. 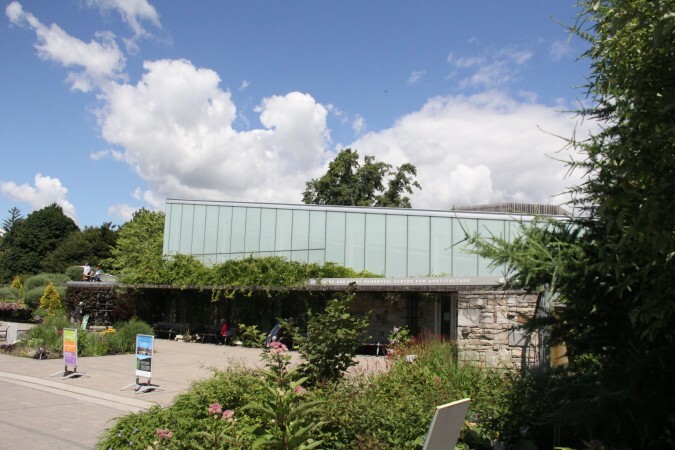 An extensive addition to the TBG includes The George and Kathy Dembroski Centre for Horticulture, a 755 m2 glass pavilion that houses offices, educational spaces and a retail store. The Centre is a showcase of environmental sustainability and architectural beauty. 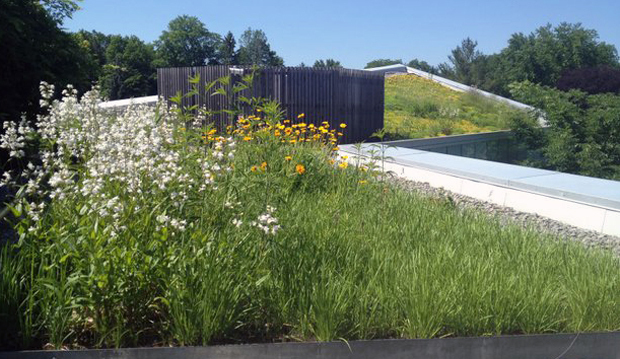 One of the most striking features of the pavilion is its sloped green roof. More than half of the pavilion’s roof area is planted in drought-resistant sedum. 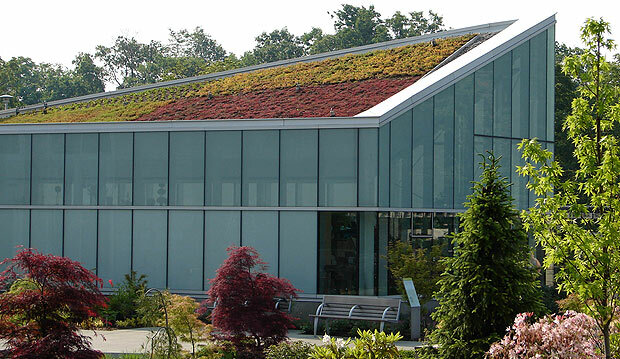 Green roofs have two principle benefits: they reduce stormwater runoff and minimize solar heat gain through roofs. At the Centre, the plants and growing medium absorb some stormwater, with the remainder collected in a cistern. 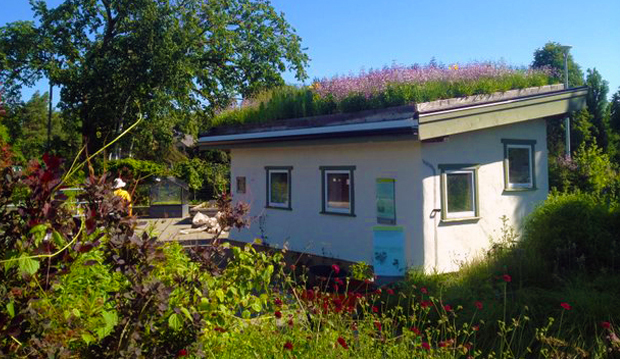 Because plants do not store and radiate heat, green roofs reduce the impact of buildings on the urban heat island. The building’s roof is visible from the ground and second storey offices – increasing its usefulness in environmental education programs and promoting occupant health and wellbeing. Staff and visitors to the Centre enjoy healthy and beautiful surroundings, indoors and out. The design team made indoor air quality a priority by specifying building products and finishes that do not off-gas volatile organic compounds (VOCs). About one half of the Centre was an existing, energy-inefficient building. Despite this, the new Centre and the existing building combined operate at an annual energy consumption savings of 30 per cent compared with a building built to current energy standards. The building shell is well insulated and all windows are high performance. The mechanical system comprises high-efficiency mechanical equipment, including an energy recovery ventilator.